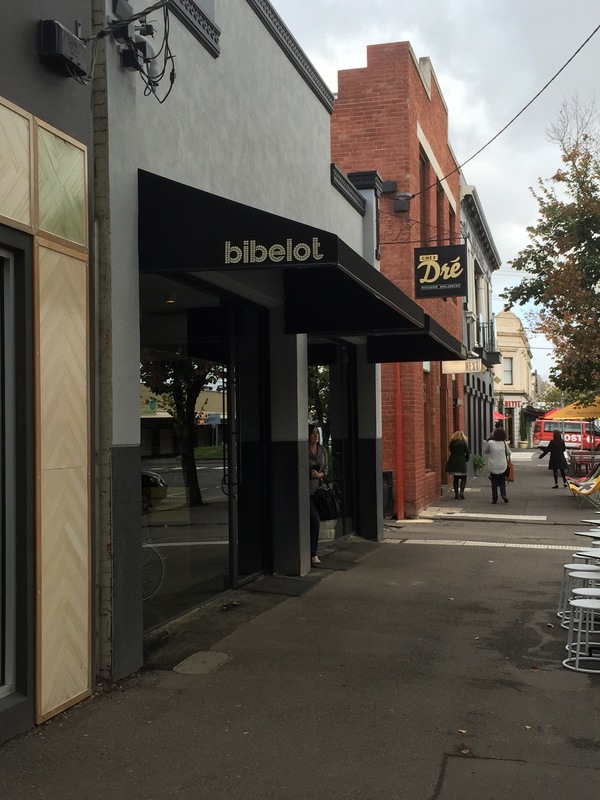 If you enjoyed our post on Chez Dre, you’re in for a treat with Bibelot! It’s the hottest new food venue in South Melbourne, taking all of Chez Dre’s wonderful patisserie, chocolate and abundant style to a unique location. It sits facing onto Coventry Street and just in front of Chez Dre’s iconic laneway location, near the South Melbourne markets. 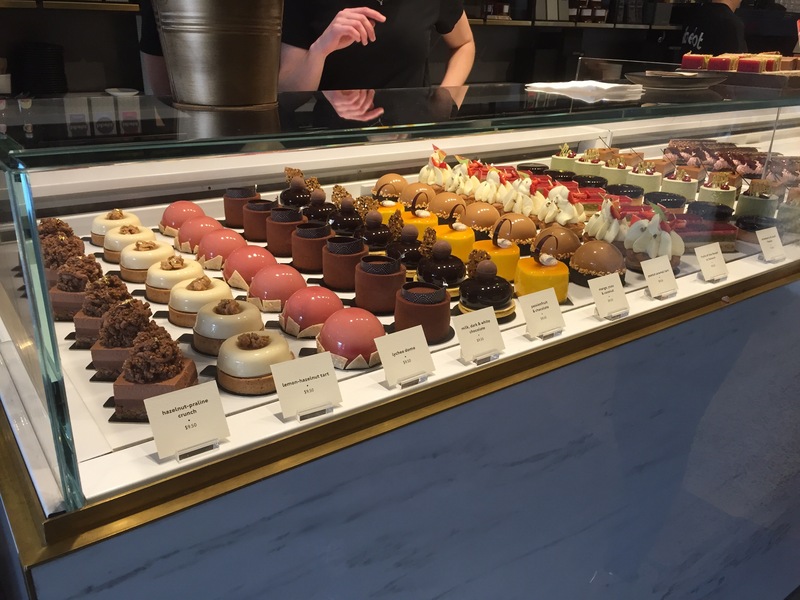 There’s plenty of cakes on offer and I was fortunate to be able try some of their decadent treats to help me make up my mind. I can say that all were completely delicious but it was the first bite of hazelnut praline crunch that really won me over. It was delicate but rich, smooth and creamy with a contrasting crunch. The presentation was immaculate, and it not only captured the nostalgia for chocolate crackles everyone loved as children, but brought it to a whole different league flavour-wise as well! My prize made it all the way back to the office, a little worse for wear but relatively unharmed. Fortunately, I knew I was carrying delicate (or should I say delicious?) cargo and the travel box was a life saver! 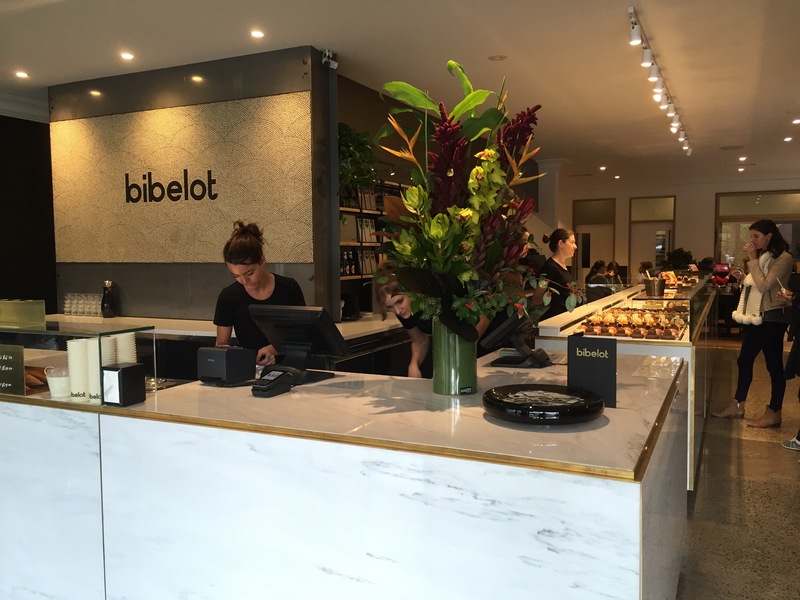 Bibelot’s sweet delights gave me the kind of elation that can only really come from cake and my mouth is still watering at the thought of another bite of its creamy abundance. 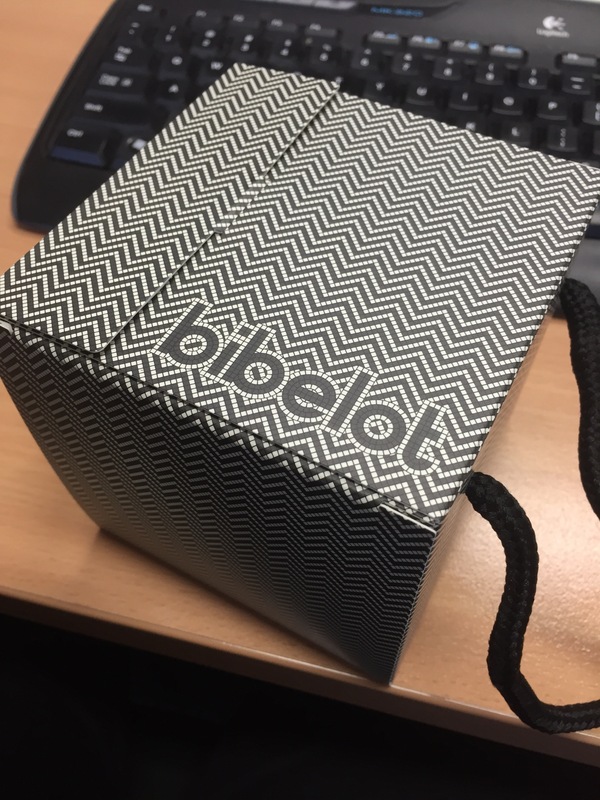 Don’t take my word for it though – Bibelot is something you must experience first hand! I LOVE Chez Dre!!! 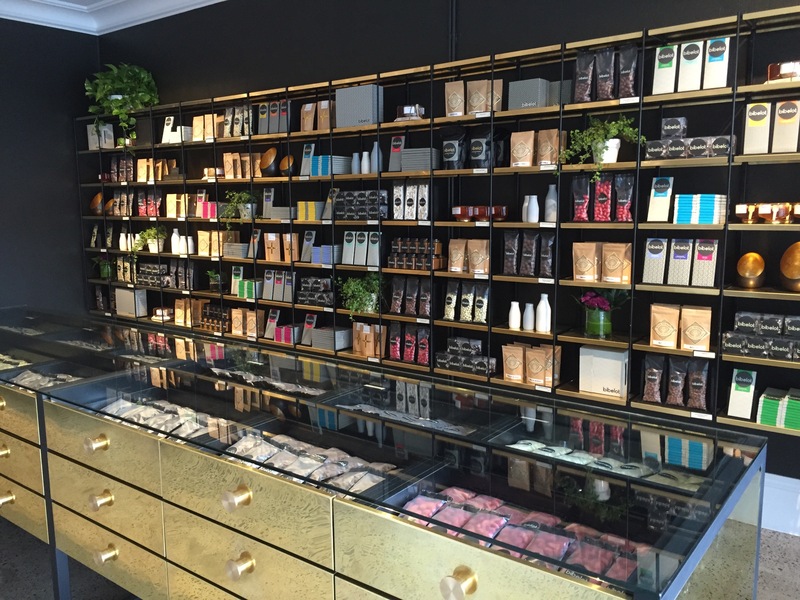 A store just dedicated to their beautiful entrements is like music to my ears! 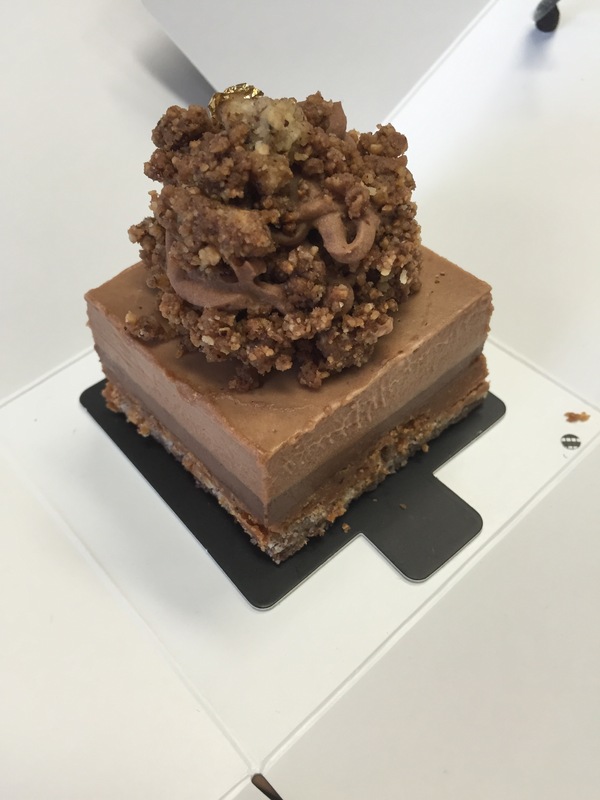 You have to try the chocolate tart – it’s amazeballs. And the lychee raspberry dome is nice too! But totally agree with you about the hazelnut crunch! So so good!